Unfortunately, natural disasters bring out scammers who are ready to take advantage of those who are desperate, and those who have just received large sums of money to repair their property. Here are a few tips on how to avoid scammers after a natural disaster. Be prepared for scammers to show up: within days of a natural disaster, out-of-state contractors will show up. They will be putting up signs in your community, advertising their services, or they may show up at your door. They know local, legitimate contractors are overwhelmed, and they prey on your urgent need to repair your property. Never pay cash up front for services: if a contractor is insisting you pay cash up front, consider this a big red flag. 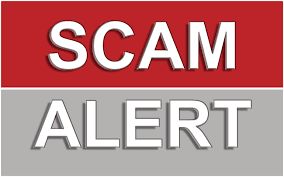 Scammers may ask for full payment upfront or half so they can purchase tools and supplies. But they never come back – and leave with your money. Never pay more than a third upfront, and never pay in cash! Get the bid in writing: always get the contractors bid in writing. Scammers love a good ole’ handshake which will not hold up in court, nor will it help you track them down if they disappear in the night with your insurance money. If they are not willing to put the bid in writing, you are most likely dealing with a scammer. Don’t make snap decisions: after a natural disaster, it is understandable that you would want to get on with your life and dealing with property repairs, especially commercial buildings is overwhelming. However, scammers will use this to their advantage and attempt to force you into snap decisions. Be smarter than the scammer: don’t fall for the first offer than comes along. Get a second opinion, even if that means the job will take a little longer to complete. If it seems too good to be true, it probably is! Go local: after a natural disaster, it is to be expected that your local contractors will be busier than usual, but you stand a better chance of getting the job done right by going local. A local contractor has a reputation in your community, and a local phone number and address. Always check with the state regulation and local authorities that they are licensed and insured. If you feel you are the victim of a scammer after a natural disaster, please contact the federal government’s special fraud investigating task force at 877-623-3423 or email at disaster@leo.gov. When it comes to repairs or renovations, you will benefit from the vast experience Knipp Contracting/ Knipp Commercial. We have completed over 20,000 repairs and renovations. Repairs and renovations are our area of expertise and your insurance claim is a priority that will be handled with integrity and the highest professional standards. We invite you to visit us online at www.KnippContracting.com or www.KnippCommerical.com and view our online portfolio.